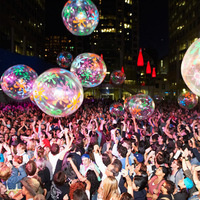 Mark your calendars, #Luminato2019 is back June 7-23 at venues across Toronto! We can’t wait to bring you the best theatre, music, dance and more from Canada and around the world. Our first 5 shows are on sale now but stay tuned for our full festival announcement in Spring 2019.